Team Blog | Educational Design & Development | Educational Design & Development equips church's educational ministries to bring glory to Christ and fulfill the Great Comission! 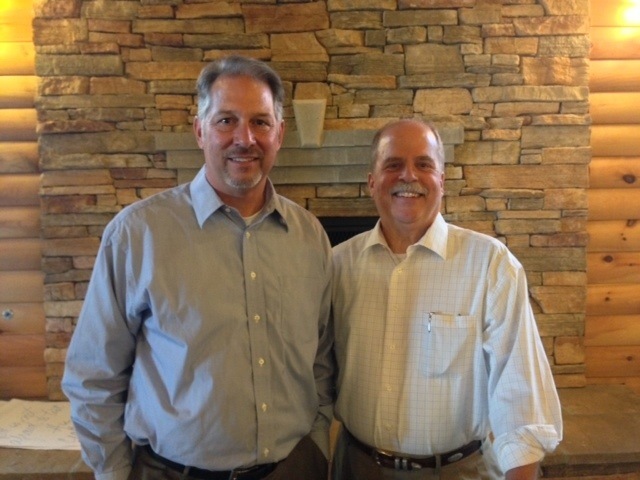 Ken and Dr. Matt Olson spoke at a Labor Day Bible Conference near Gettysburg, Pa. Matt and the Coleys have been friends since they were in Christian camp ministry together in the 1970s. If your experience as an educational leader in the church is anything like mine, you quickly will get involved in all sorts of projects that you may (or usually, may not) have any idea about what you are doing! Such an occasion occurred for me recently, as I was asked to officiate a wedding for a close friend and ministry partner. While I am honored at the chance to serve a brother and help him start his wedded bliss on a good step, I had to wade through the endless supply of seminary notes and books to figure out exactly what to do as a marriage counselor/ officiant; what resulted was a neat three week journey of learning what was essential about marriage and what every new bride and groom needed to hear. After a study of the Scriptures concerning marriage, husbands, and wives, my wife and I developed a 5 page study guide to use for a first counseling session to see what God has said about marriage; as a teacher, I wanted to make this resource available to those of you out there in the internet world who, like me, want to provide a Biblical foundation for marriage, but don’t know where to start. Feel free to walk through this worksheet with your spouse and use it as the Lord leads you! Good luck as you seek to lead others through this great journey of marriage! Preachers, are you tired of seeing church members catching up on their sleep time during your sermon? Have you noticed how little of your sermon churchgoers seem to remember? Are you bored with your preaching? If so, maybe this article would help you and your ministry. Considering the way the brain processes information, this article presents a number of active learning techniques and tips to help you bring life into your preaching and hopefully help people remember the message from God’s word in the process. Check it out below! Our team has a passion to help your educational ministries fulfull their mission to make disciples of the nations!